Are companies with strong cultures more valuable? Home » Podcasts » Are companies with strong cultures more valuable? How like many people in business, we typically have these events that changed the course of our business that we really didn’t expect or in some ways can’t control. How his strong culture led to selling the company at 22 times multiple! Paul Spiegelman is the co-founder of the Small Giants Community, a peer-group of businesses focused on culture and servant leadership. 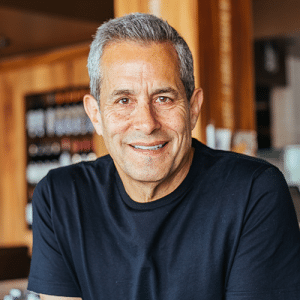 He is the former chief culture officer of Stericycle, the co-founder and former CEO of BerylHealth and the founder and chairman of The Beryl Institute. Paul is a New York Times best-selling author and has been honored with the Ernst & Young Entrepreneur of the Year award. He is co-owner of the restaurant, Wine Gallery, in Laguna Beach, CA.